Be Ye Transformed The Bible tells us that the goal and purpose for every Christian is to be “conformed to the image of Christ.” God wants us to genuinely walk in His Agape Love, display His wisdom and depend upon His power, not just talk about these things. This book will help you learn how to moment-by-moment renew your mind. No matter what your situation or what you have been through, God will make you more and more like Jesus. Go here for a more extensive description. This Personal Application Workbook is designed as a companion to the textbook. It will help you apply the Scriptural principles that you’ve read about in the book. This workbook has been used in both personal as well as group studies, with great reports about it’s usefulness. Be Ye Transformed DVD Seminar. Wouldn’t it be great to experience a seminar done by Nancy Missler? Now you can! With this DVD set you can have a great EIGHT HOURS with Nancy showing you the insights that she wrote about in her book. Buried hurts and wounds definitely influence us, but they don’t need to determine our choices. Let Nancy explain to you how to renew your mind and find God’s power to break free of the old ways. The guide includes all of the answers to the workbook study; an outline of each session; and a cd with all of the charts from the book. Thank you for your interest in knowing more about the Mind of Christ. 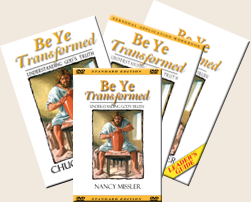 Nancy teaches in her book, “Be Ye Transformed” on The Seven Fold Spirit of God on pages 99-139. She goes into great depth regarding God’s supernatural Thoughts (or His Word). There are seven stages or functions that form a conceptual process called the Mind of Christ and this process of thinking comes from Isaiah 11:1-2, the seven fold Spirit of God. The teaching is very powerful and gives great insight as to more understanding of the practical application of “how to” renew our mind. This teaching is available on our website in textbook, audio Cd or mP3 format (Nancy teaching) and DVD format (Nancy teaching). 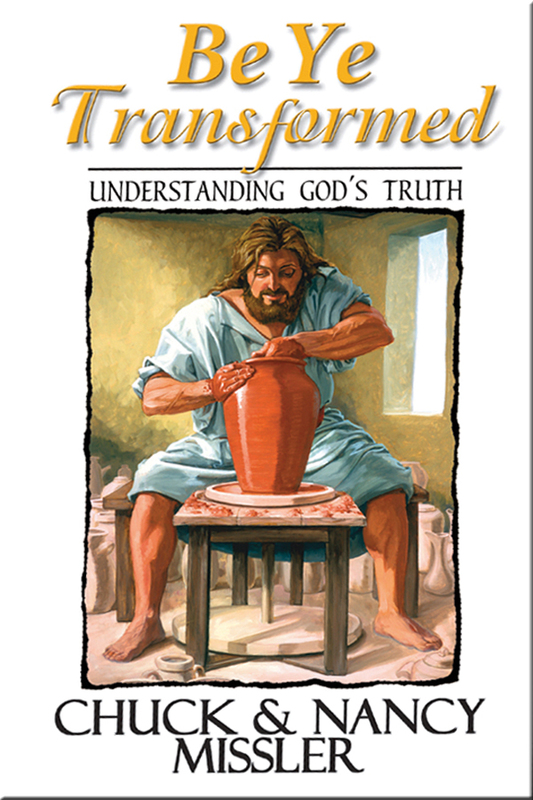 I ordered this book because I asked God to show me to be more like Him and I don’t remember what exactly I put in to google search but I do remember scanning over an excerpt of a page in the book. I went back the next day and did the preview on Amazon Kindle and I thought instantly, wow, I am so understanding this. I couldn’t wait to get it and when I did every time I read it, the Spirit of God would be there with me and really helping me get it. 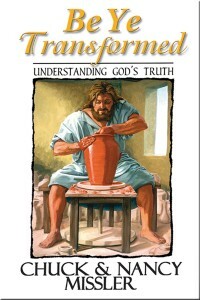 I just finished it and it is trully life changing and spot on with what we are being taught at my church. God Bless, Nancy! Thank you for allowing God to use you to further me on this race!